Caption slip reads: "Photographer: Hecht. Date: 1954-04-20. Reporter: McMahon. Assignment: Malouf, rec. stolen property. 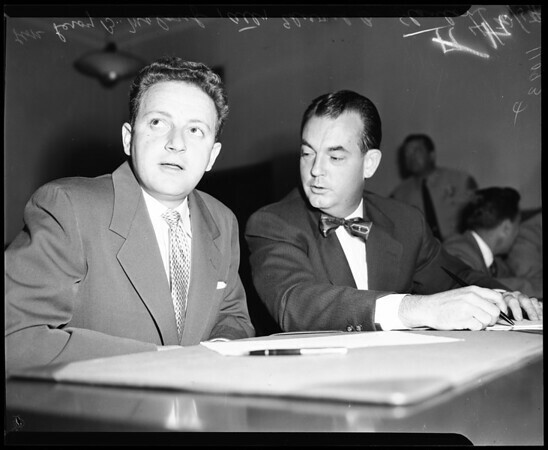 l. to r., 3/4: Leroy B. Malouf, charged with receiving stolen property and his attorney Edward B. Stanton. Malouf deft. in Simmons jewel case preliminary".